No offence, but I hated this book.I only read a couple of chapters, and disliked it.Why? I didn't like the characters, the lack of women and not much description! Read if you want to though, I don't want to stop anyone from reading what they want. I would recommend it to people who like bugs and adventure stories. I liked it because there was never a dull part and it was always exciting. I liked Darkus the best. Wow what a mysterious adventure. This book is exciting and intriguing from start to finish. Amazing my favorite characters were Novak and Virginia. This book is extraordinary. It's about this boy called Darkus who lives with his dad also there's this suspicious woman who's calling herself something she's not! Darkus finds a beetle but when the beetle goes missing with his father the hunt is on! Who's behind all this? This was a super book, with lots of very cool beetles, superb characters and very good surprises. I would think lots of people would like it, especially if you like adventures (and beetles!) I hadn't read the first two books in the series but still managed to enjoy this one. You shoudn't read this book because it doesn't tell a good story. it was a bit boring in the middle because it kept switching to different characters and it was really boring because I lost track but it was exiting. This book was a fantastic read. 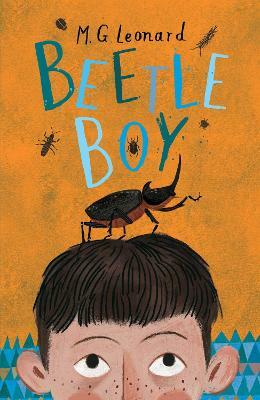 It is about a boy called Darkus who befriends a beetle, that's unusual, right? But is this beetle the key of finding out the diserpearence of Darkus's dad? Read this book to find out. This is a really good book and it's about a boy called darkus and in the fifth chapter on the way home from school darkus makes friends with a rhinoceros beetle and they have lots of fun adventures together! It's the best book I've ever read because it's about an adventurous boy and a mean lady who has captured his dad. It was Absolutely amazing and I would for sure read it again! This is a brilliant book I loved it so much! I love beetles . I would recommend this book because there's a lot of wonder in it and its like something surprising happens and you don't now if it will be fixed.